NiMH batteries have a much longer life than NiCd and do not have to be discharged before recharging. Pre charged in Japan using Solar Power. Holds 70% of charge over 10 years. Can be charged up to 2100 times using standard NiMH chargers. For use in high drain devices such as garden lanterns that require Nickel Cadmium batteries. TB6B Balancing Charger Designed to balance charge NiMH/NiCd/Li-Ion/Li-Po/LiFe/SLA battery packs. 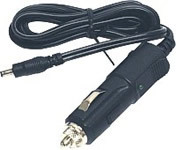 (NiCd & NiMh smart charger) Also rejuvenates batteries. 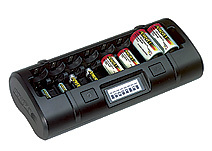 When a single AA or AAA battery fails, it will drag down the performance of the whole set. Use the Charger-Analyzer to find and repair the weakest link. 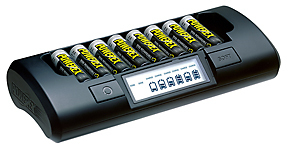 It's like having four charger-analyzers for AA and AAA NiMH / NiCd batteries. Endless programming possibilities - over 10,000 ways! New ways to take care of your batteries and maximize runtime! 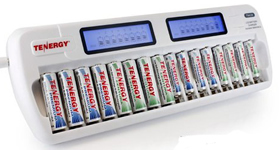 Battery matching refers to grouping batteries with similar â€œactualâ€� capacity. To perform this, use the Refresh & Analyze mode to determine the battery capacity. Group batteries with capacity within about +/- 5% of the rated capacity.